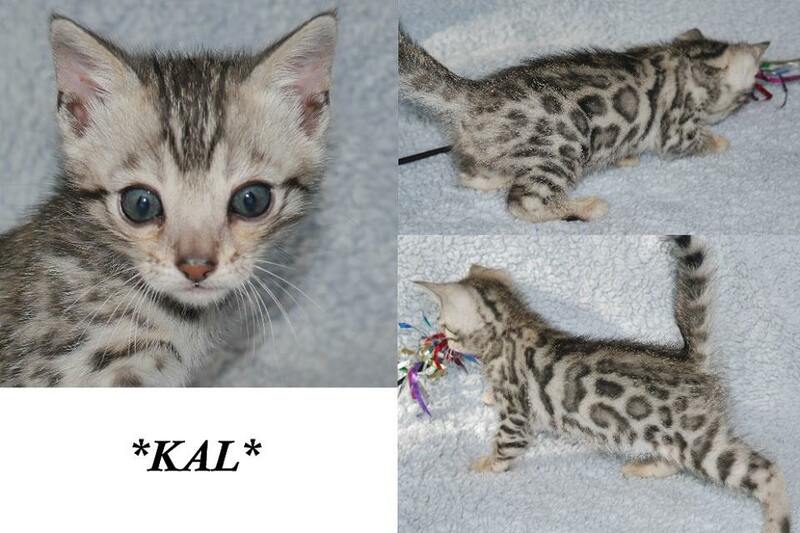 Kal is one of two kitten Latvia babies! He is looking more and more like his Dad everyday and is going to have large rosetting! 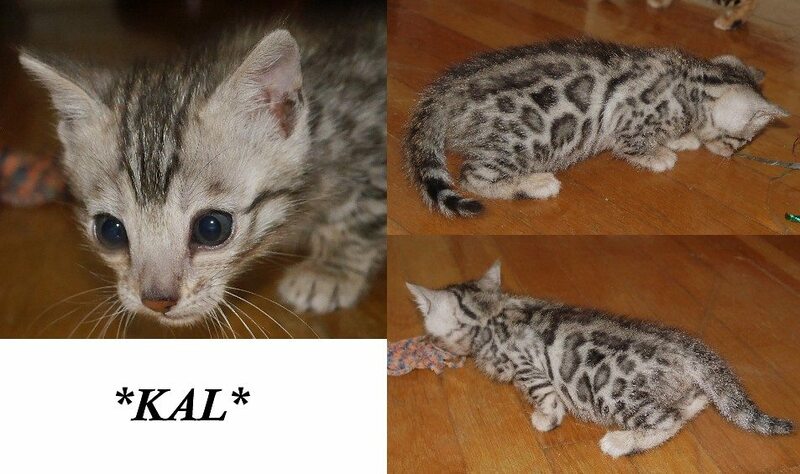 Right now at this young age he already looks to have a great profile and nice silver color. 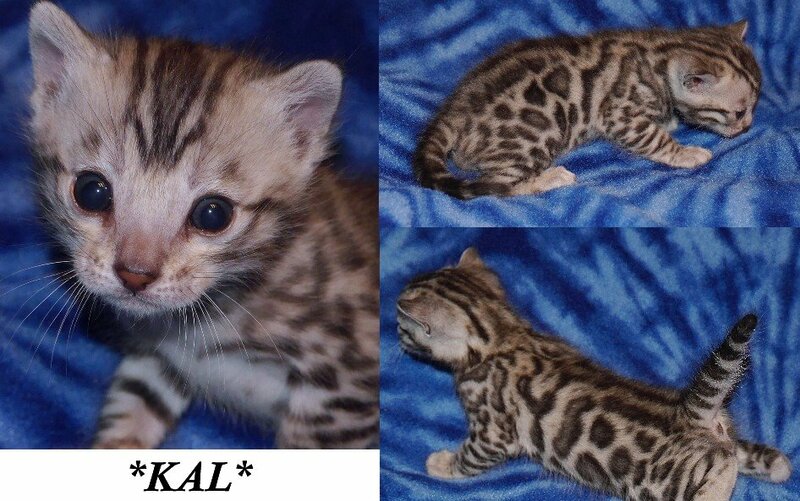 With his big beautiful rosettes and silver coloration he’s sure to turn some heads. 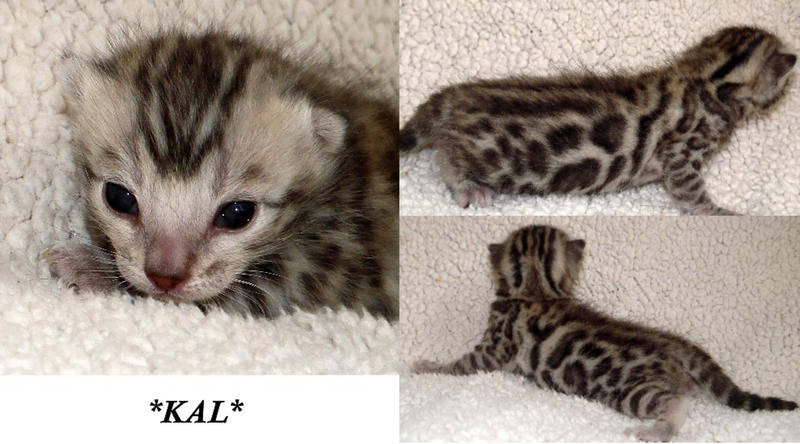 This entry was posted in Bengal Kitten Gallery and tagged Bengal, Bengal kitten, Kal, rosetted. Bookmark the permalink.